A great way to enjoy some tasty Chinese style cuisine this week is to do it yourself. 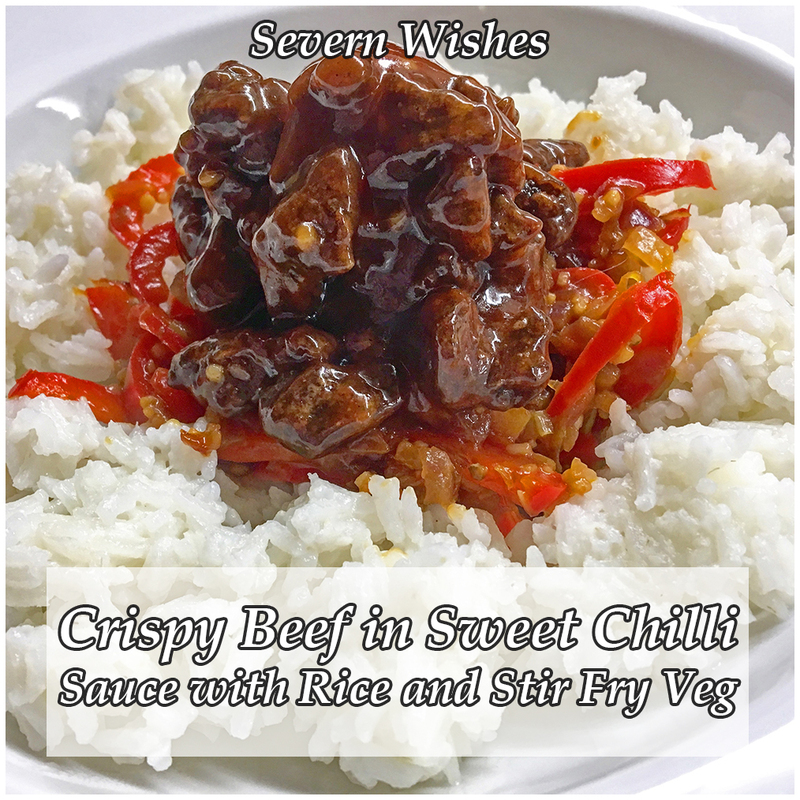 To celebrate Chinese New Year I thought that I would share my own recipes with you all. Many people think it’s a complicated type of cuisine to make but if you’re good at following step by step recipe guides like mine, then you can create my delicious dishes in your own kitchen! 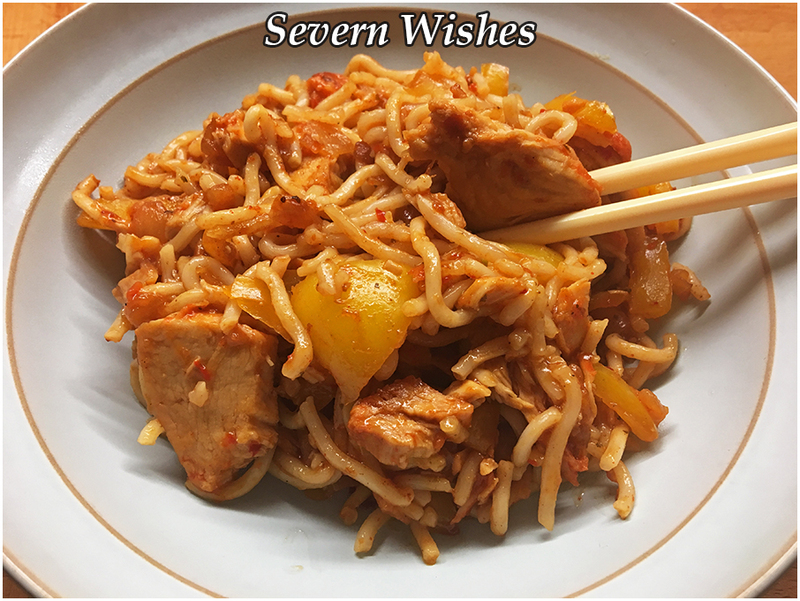 In today’s blog post I’m going to outline some of my own tips and tricks, as well as share my own recipes on how to make some flavoursome Chinese meals. Follow my instructions as much as you can, and substitute the meats for other meat or fish or a vegetarian alternative where I indicate you can with this symbol ⇕ . You can decide which of the sauces you’d rather make too, I will show you a few. Why not give some cooking a go this Chinese New Year week! I’ve worked out that you can make 4 of my dishes for 4 people, plus a bowl of Sabrina’s Special Egg Fried Rice, for around £6.50 per person. That’s a heck of a lot cheaper than ordering in! On average a dish from a Chinese Takeaway comes in at around £7.00 in most parts of the UK. You can have 3 dishes and a rice for the same price! All you have to do though is cook it! 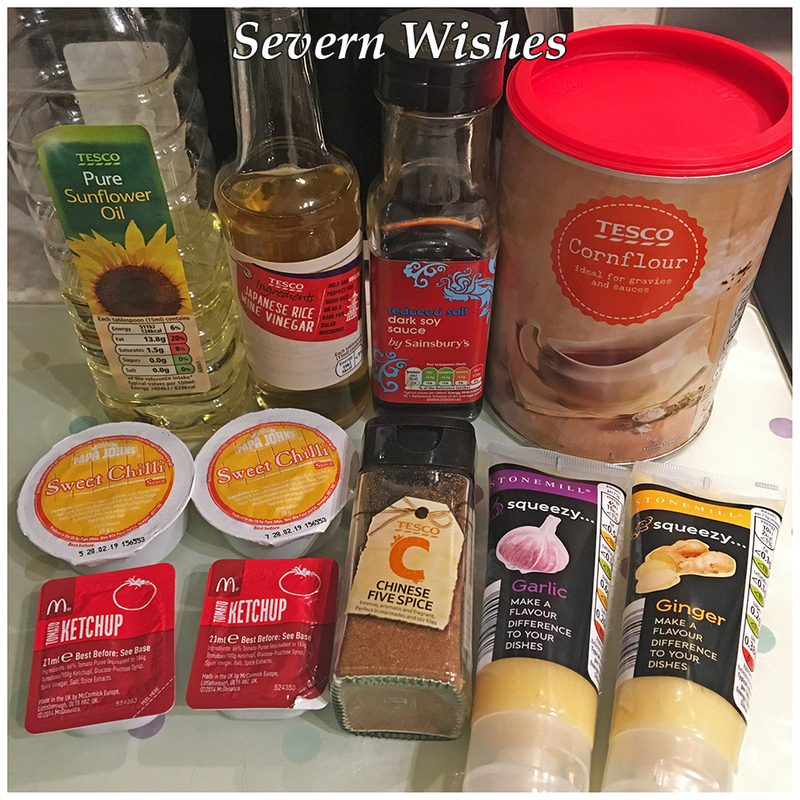 Remember that for some of these items you will have leftover amounts of them that you can use the next time that you cook Chinese food, such as the Petit Pois, the Rice Wine Vinegar, the Cornflour and the Soy Sauce. I have worked out that your shopping list will cost between £27 and £30 depending on supermarket offers and whether or not you pick those offers or brands versus own brand. I shopped at Tesco but prices are similar else where when I looked online. For 4 people this equals approximately £6.50/£7.00 each, that is for the 4 people to have 3 Chinese Dishes and Rice. 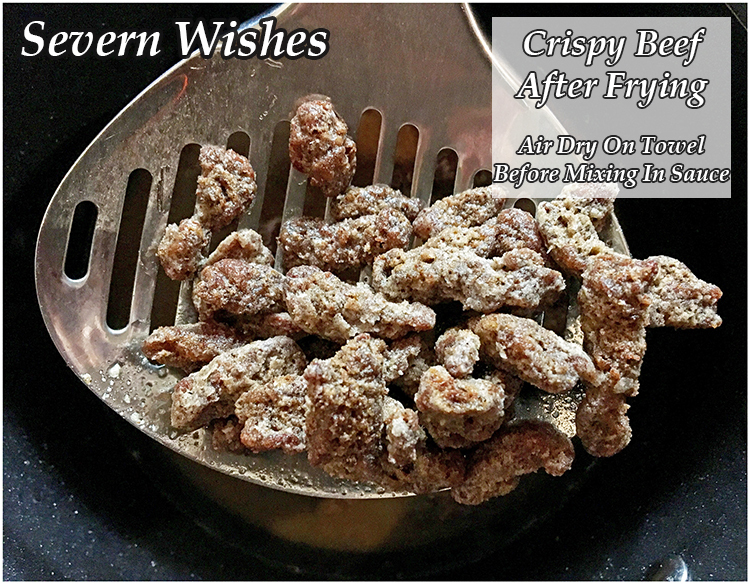 How To Make The Crispy Meat Element of the Dishes. One of the most delicious parts of Chinese food is crispy strips of meat seasoned with Chinese spices. 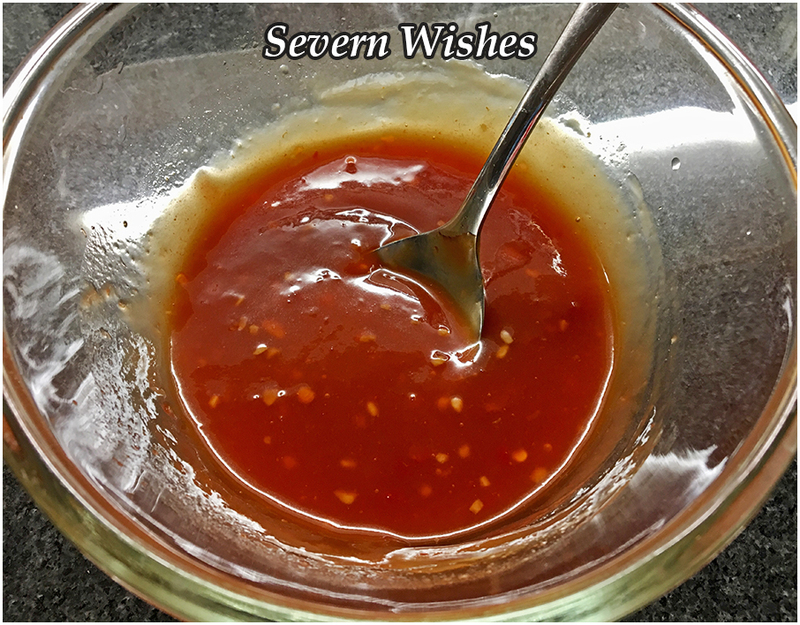 You can pick up a jar of Chinese 5 Spice for less than £1 in most supermarkets, and because it’s so strong in flavour it goes a long way. You need a small saucepan that you pour oil in to until it is around an inch deep. You need to heat this on a hob until it’s very hot before you place meat inside to fry. The Meat Strips take around four minutes to cook through depending upon their thickness, so always test one piece before you do the remainder. You will also need several pieces of kitchen roll/towel to place your fried goods upon to drain and soak up any excess oil. In bowl number one you need to place the cornflour and Chinese 5 Spice, mix it using a spoon. 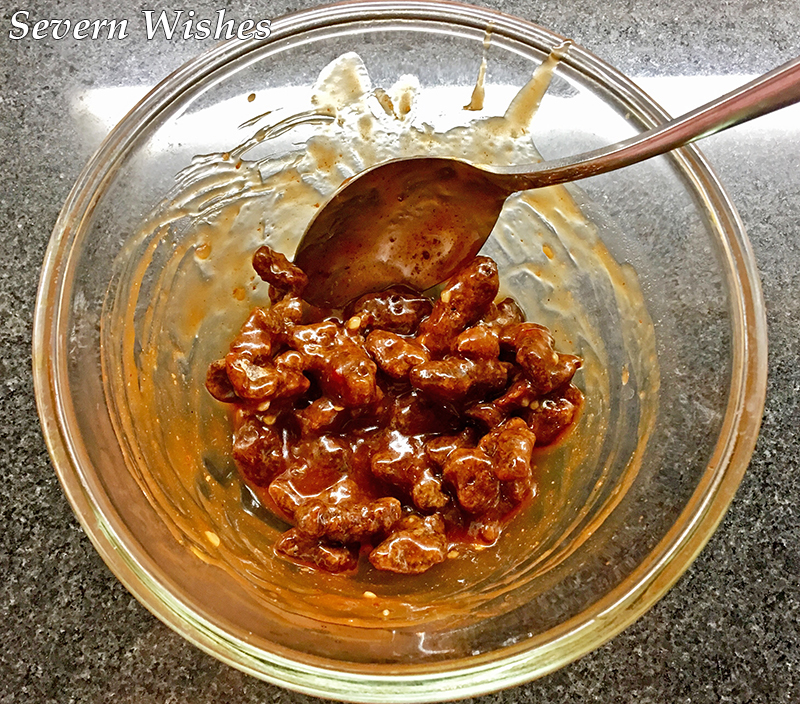 You need to coat each piece of meat in this mixture, by adding meat slowly a few at a time, once coated place them into the hot oil and time them frying. Remove them from the saucepan using a spoon or spatula with holes so as to drain the oil. Dry the strips on some towel until they are ready to mix with your chosen sauce. 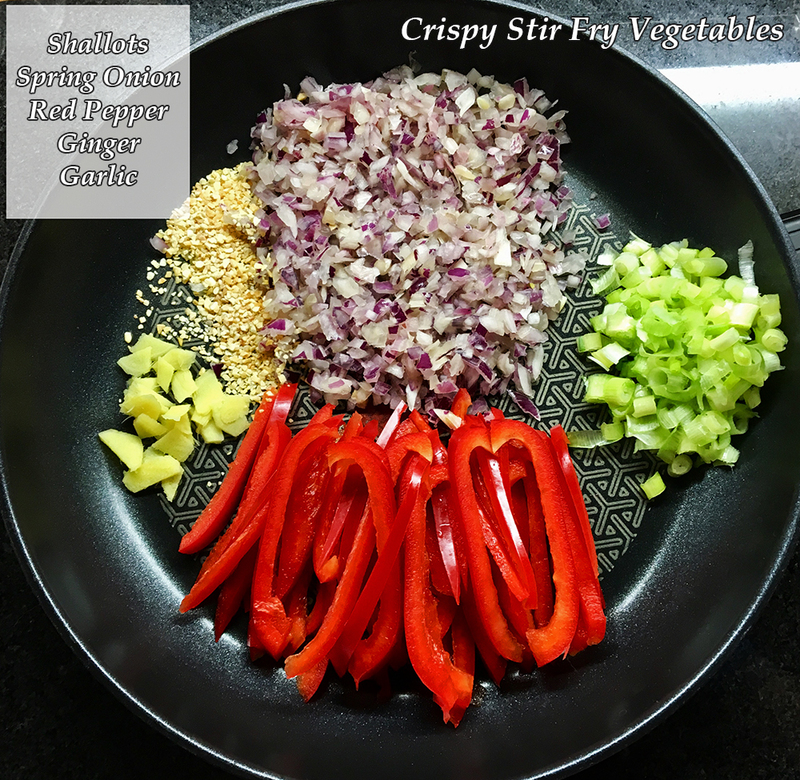 Here are my recipes for some sauces and stir fry meals I love to make. They are easy to follow and take around half an hour to prepare and cook. There is one sauce that I always buy because it is more expensive to try and make it, that is black bean sauce. You can pick this up in most supermarkets for between 35p to £1.50. Packets or Jars depending upon if it’s for a one off dish or for several if you wish to make it again. Black Bean Sauce is the Perfect accompaniment with Chicken. Serve this with chunky chopped Onions, ribbons of Carrots and sliced Green Peppers. Serve with Carrot Ribbons, Onions and a chopped Chilli Pepper. Serve with fried peppers and onions. Add the Chow Mein Sauce to pre-cooked Rice Noodles or Thin Egg Noodles and your already fried and seasoned meat. If you want a richer flavour then marinate the chicken in soy sauce for an hour prior to frying it. You need 2 pans. Once prepared fry all your Vegetables together in a little oil. In the other pan, take some of the garlic, ginger and spices and add them to season your main element while you cook it, don’t forget to season with pepper and salt. Once everything is cooked combine the main and the vegetables. Add your noodles and a splash of boiling water to the pan. Stir fry until cooked, serve immediately. Add Spring Onions too if you like Onion as much as I do for a pop of colour! Fry all these tasty vegetables together to begin your Stir Fry. Soy and Chilli Chicken Stir Fry with Onion, Yellow Pepper & Egg Noodles. Egg Fried Rice is relatively easy to make and is a great accompaniment to lots of Chinese dishes. You can partially cook this dish too to save time! Cook the rice either on the hob or preferably in a Rice Cooker if you have one. Then you’re ready to begin. In a large frying pan add oil soy sauce and garlic, then fry the Spring Onions and Peas together. Add the Eggs (previously whisked in a small bowl) and scramble together using a wooden spoon on a high heat. Turn the heat down and add the cooked rice. Mix thoroughly and add any more seasoning to taste. Fry until hot and all flavours are combined. Serve in a large bowl so people can help themselves and scatter some fresh spring onion on top. 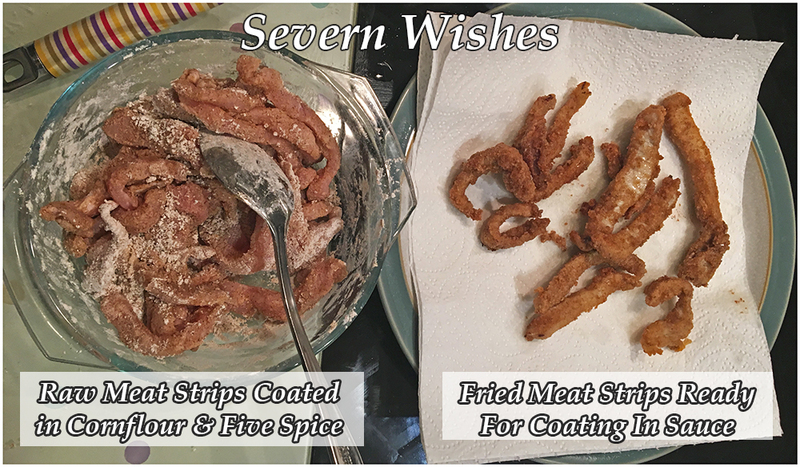 Thank you for joining me on Severn Wishes, I hope you enjoyed this lengthy food post! Let me know in my comments or tag me on social media if you make any of my recipes!